Ability to produce and communicate original ideas and to appreciate the nature of beauty. At its core, creativity is about brewing new ideas. If you carefully observe children before the age of six, you’ll notice they are idea-generating enthusiasts! Why? Because humans are uniquely creative beings, born with a gift to create new ideas and innovative outcomes that evolve from their ideas. What happens to creativity when children start school? 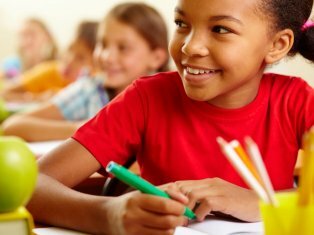 Research shows that creative thinking scores decrease significantly from kindergarten through 3rd grade, then remain static or decrease starting in 6th grade. Our children’s decreasing ability to demonstrate their natural, creative geniuses should concern parents. In his article, If You Come out of School Thinking You Are Not Creative, School Failed, educator Rick Ackerly shared the all-too-common story of a young adult who lamented, “I’m not one of those creative types”—as if creativity was part of the gene pool, or limited to artists. 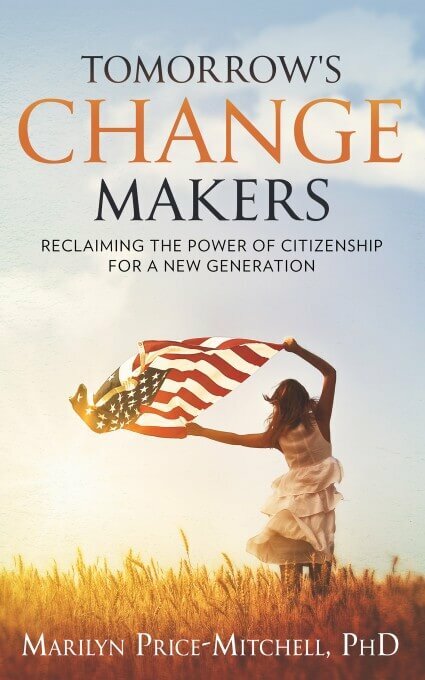 Parents and educators must unite to reverse creativity’s false perceptions and the downward trend of creative thinking perpetrated by traditional classrooms and high-stakes testing. When kids do not learn to freely express themselves, evolve their ideas, and be witnesses to their own creative journeys, the consequences, like boredom, depression, and lack of motivation, can last a lifetime. Children and adults depend on their creative abilities to help them adapt and thrive in increasingly complex and uncertain times. Researchers believe that a creative life fosters happiness and wellbeing, and that there is a significant connection between creativity, meaning, and intrinsic motivation. Creativity is at the epicenter of human exploration and discovery—an ability used to generate and communicate original ideas of value. Inspired by our senses of sight, sound, taste, touch, and smell, creativity is a force that nurtures human development, innovation, and an aesthetic appreciation of the world around us. Many people associate creativity with those who are gifted and talented. Few would argue that Steve Job’s creativity helped produce the iPhone and other innovative Apple products. But creativity is not confined to people of extraordinary intellect or talent—or to big inventions. Everyone has creative capacities that evoke originality, like producing a new recipe, conveying a powerful idea through self-expression, or discovering a better way to achieve a desired outcome. We are beginning to learn new and surprising ways creativity is fostered during childhood and adolescence. In an excellent article, educator Diane Cadiergue shares surprising concepts about nurturing creative thinking in classrooms. Distinguished psychologist Mihaly Csikszentmihalyi suggests that a child’s talent may be of less importance than the encouragement they receive from those around them. In his book, The Systems Model of Creativity, he cites a wealth of research showing that when adults devote time and energy to children’s overall development, they also help young people develop creative talents. 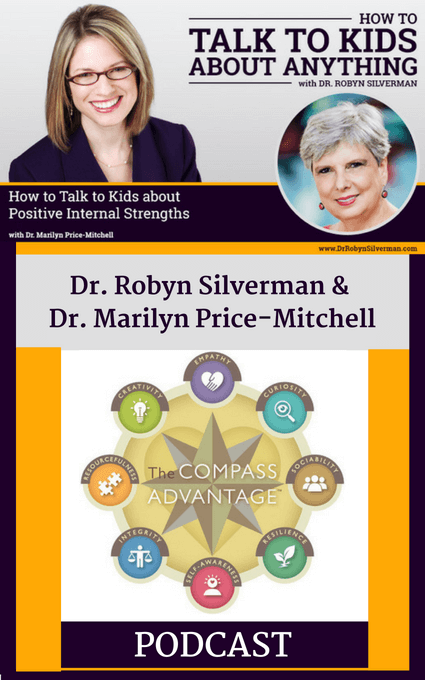 The systems-thinking that Csikszentmihalyi describes is an important aspect of The Compass Advantage, a framework for parents and educators that shows how the development of eight interconnected human attributes helps children discover their own creative pathways to success. To nurture creativity at home, parents must focus beyond outcomes to understand how creativity originates. What is most important is to reinforce the thought processes and attitudes of mind associated with creativity. These include the exploration of intrinsically meaningful ideas as perceived by your child. Through parent coaching, creativity is one of eight core abilities I help parents understand and nurture at home. 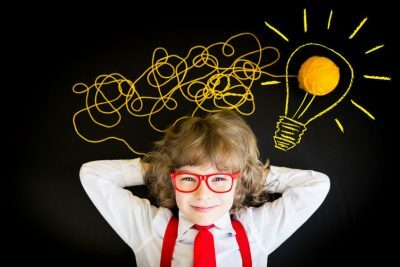 Below are ways you can start today to focus on the types of processes and attitudes that facilitate the evolution of your child’s creative ideas and imaginative spirit! 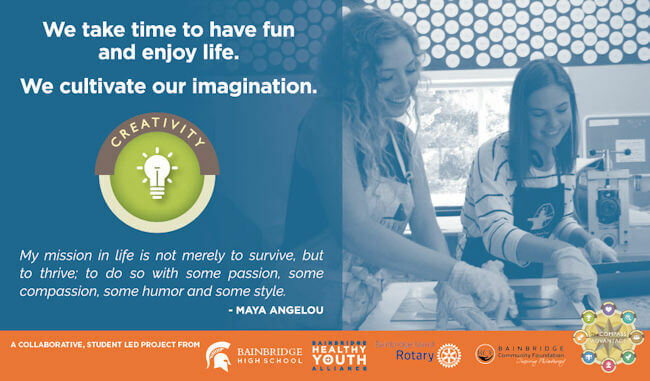 Students from Bainbridge High School in Washington State chose the photo, words, and quote for the above CREATIVITY banner — one of seven that hang in the hallways of their school to remind all students of the core abilities that matter most to their development and wellbeing. 2. Nurture your child’s interests. 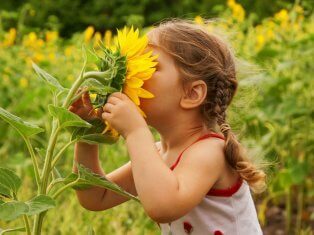 Creativity blossoms when children feel invigorated by activities they enjoy. 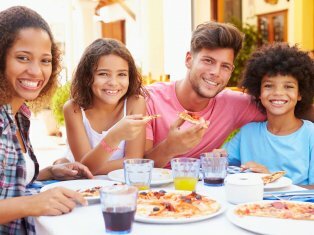 Allow them to choose their after-school activities. Encourage them to more deeply explore those activities in essays and projects at school. For example, if your child loves playing flute, encourage him to write a paper on the history of flute playing or the mechanics of flute building as a school project. 3. Expand language of imagination. Being able to understand and describe emotions is critical to the creative process. Dr. Brenna Hicks explains how to develop an emotional vocabulary at home so your child can identify and put their feelings into words. Through imaginative play, children explore their ideas and create meaning about the world around them. Read parenting expert Katie Hurley’s excellent article, The Benefits of Play are “Oh, so Big!” where she shares a poignant story of how creative play helped her daughter conqueror her fear of the dark. 5. Foster creativity through art. Think of home art projects as mediums to nurture creativity not just as finished products to be admired. Art is an opportunity for children to learn from chaos and disorder, an underlying and often invisible well of creative ideas. Get six research-based tips on how to oversee your child’s home art projects that enhance their experience and creative thinking. 6. Explore the beauty of nature. When children and nature collide, the results are magical! Critical thinking skills are developed as children learn to make inferences and draw conclusions. They learn by tasting, touching, and seeing wildlife and flora in ways they cannot learn from books. Read Children and Nature: Helping Kids Connect to Life Mysteries, an article that includes suggested nature activities that spark creativity. 7. Nurture a growth mindset in your teen. To prepare for careers in complex and rapidly changing fields, young people must learn to think and act in new ways. A growth mindset is the belief that one’s abilities can be developed. It’s a mindset that fuels creativity and innovation, allowing teens to see themselves as creative works in progress. 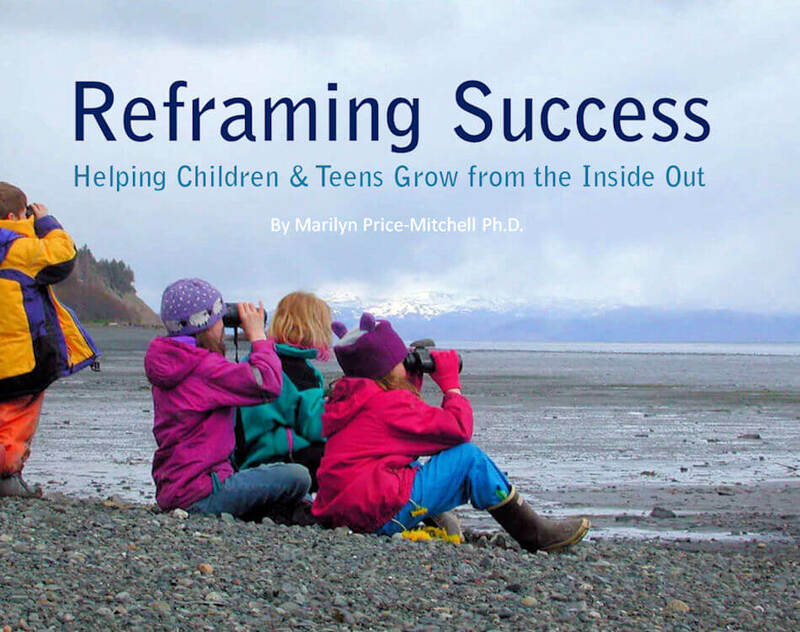 Learn five ways to foster a growth mindset during the adolescent years. 8. Advocate for the daydreamer! Contrary to conventional thinking, daydreaming has many advantages! When kids daydream, they explore associations, make connections, and search for possibilities. Research shows that both daydreaming and the use of solitude for reflection are among the attributes of highly creative people. The article, Daydreaming: Mindless or Meaningful?, outlines some of the advantages of daydreaming, including additional reading for parents. 9. Develop five habits of mind. While her free book, Creativity for 21st Century Skills (PDF), is written primarily for teachers, Piirto offers many insights that parents will find valuable, including sensory activities, games, and how to talk with children about these core habits. 10. Recognize creativity as a source of joy. When families value and recognize creativity as a source of inner joy, children learn to appreciate their natural, creative gifts as human beings. 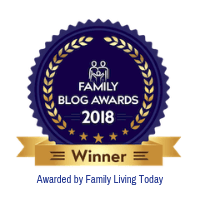 Download a free copy of My Parenting Promise, where you’ll find quick reminders how family values positively impact child and adolescent development, every day! The following infographic was created from material in this article. Please feel free to copy, print, and share with others! I Have a Dream: a frame-ready document created by youth—to discuss with your children.